Very welcoming and nice people. Always available to help you. Thank you very much! Πολύ καθαρό, καλαίσθητο δωμάτιο, εξοπλισμένο με οτιδήποτε μπορεί να χρειαστεί κάνεις. Οι ιδιοκτήτες είναι πρόθυμοι και ευγενικοί. Ήσυχη περιοχή με ωραία θέα. 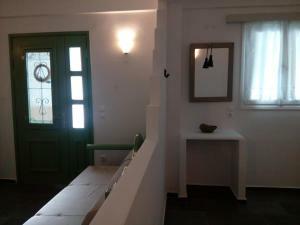 La casa è molto nella in una posizione incantevole ed è arredata con gusto e perfettamente equipaggiata. Il signor Manolis è sua moglie ci hanno accolto con molta gentilezza, l'appartamento e molto bello, praticamente nuovo, dotato di tutti i confort e attrezzature possibili (macchinetta del caffè compresa). Arredato con gusto. Si può mangiare sul terrazzo e godersi il tramonto con l'isolotto di Despotiko davanti. Super consigliato! Lo studio, la gentilezza del proprietario, la posizione. 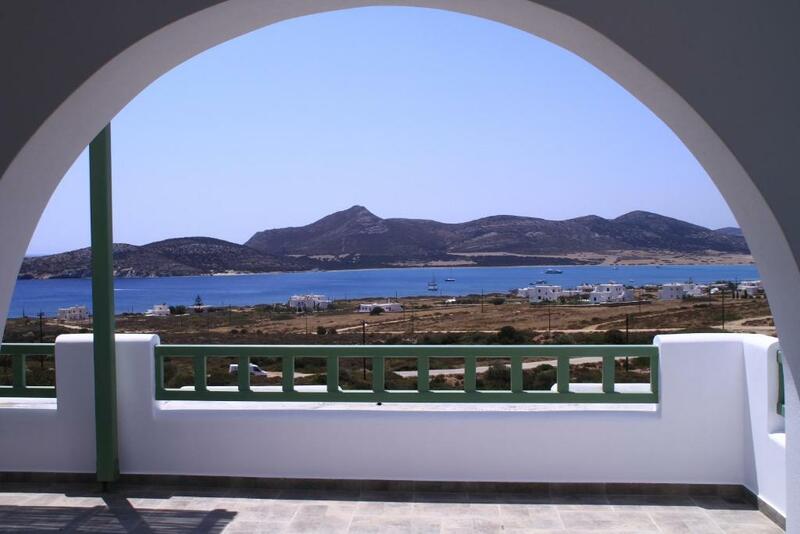 Lock in a great price for St George Antiparos – rated 9.3 by recent guests! 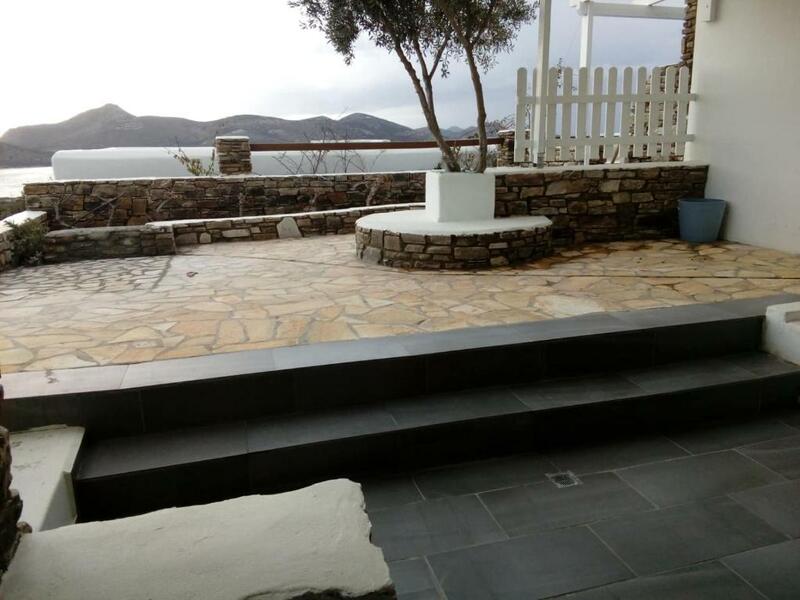 One of our top picks in Agios Georgios.The Cycladic-style St George Antiparos is located in Agios Georgios Village, 6.8 mi from Antiparos Port. 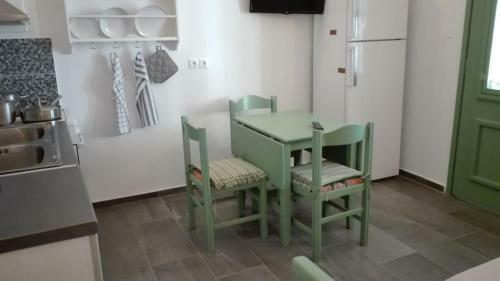 It offers self-catering accommodations with free WiFi and views over the Aegean Sea. 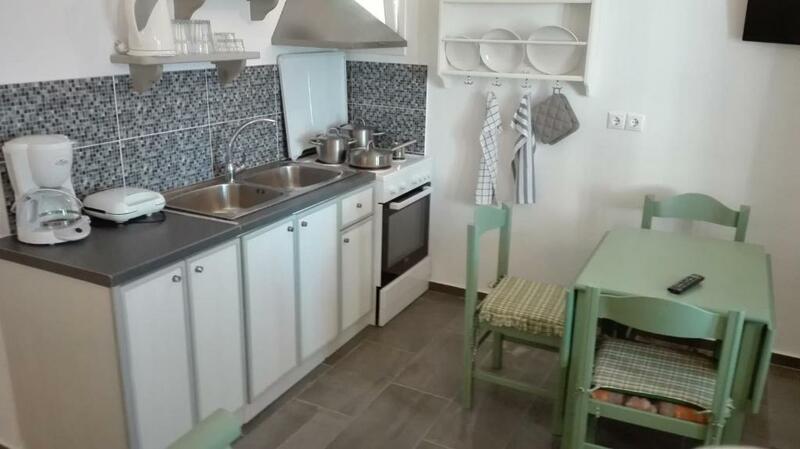 Fitted with built-in or wrought-iron beds, the studios and apartments have a well-equipped kitchen with fridge, oven, coffee machine and a dining area. 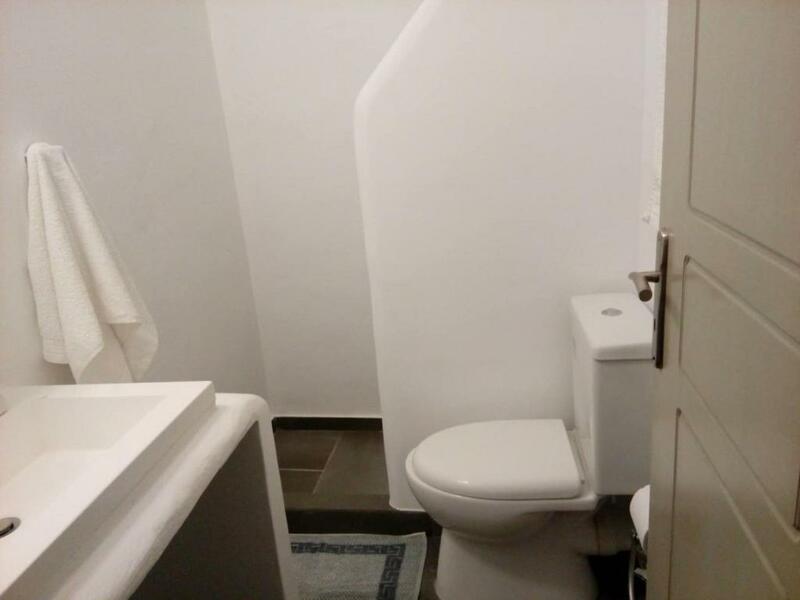 Each includes a bathroom with built-in shower. Antiparos Town, where a variety of restaurants and bars is featured, is 7.5 mi away, while Antiparos Cave is 3.7 mi away. Free parking is provided on site. When would you like to stay at St George Antiparos? This apartment has air conditioning, private entrance and seating area. This apartment has a kitchenware, air conditioning and private entrance. This apartment features a soundproofing, oven and private entrance. This apartment features air conditioning, balcony and toaster. 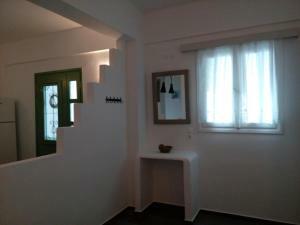 This apartment features air conditioning, tile/marble floor and kitchenware. This apartment has a soundproofing, private entrance and air conditioning. 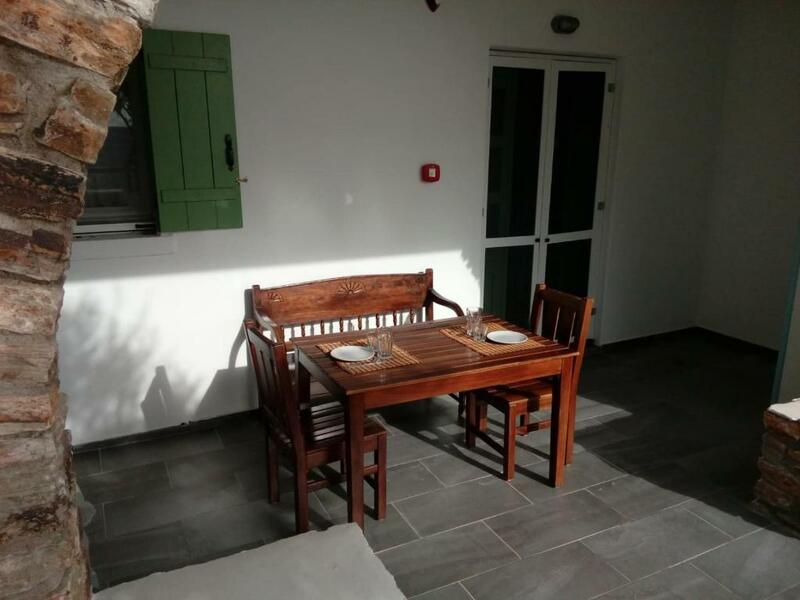 The apartment complex St. George Antiparos is located in the quiet and sheltered village of St. George, southwest of the island, about 11 km from the port of Antiparos. It is built and consists of ten newly built apartments Cycladic architecture, combining comfort, luxury and a sense of calm and simplicity. The idyllic location ensures relaxation and carefree stay. The apartment complex St. George Antiparos is located in the quiet and sheltered village of St. George, southwest of the island. Saint George, second settlement of the island, at the beach, with apartment complexes and taverns offered as a basis for a more peaceful vacation. The Port of Antiparos about 10 km. Saint George, second settlement of the island, at the beach, with apartment complexes and taverns offered as a basis for a more peaceful vacation. The beaches of St. George area is sandy and the sea water crystal clear blue. There are organized or not beaches for all tastes. Just opposite the St George is the island of Despotiko, archaeological importance, which you can visit on a daily frequent itineraries of boats starting from St. George beach. House Rules St George Antiparos takes special requests – add in the next step! St George Antiparos accepts these cards and reserves the right to temporarily hold an amount prior to arrival. Please note that guests can either pay in cash or via bank transfer. Cleaning service is offered twice a week for the apartments only. No cleaning service is provided for the Studios. Please inform St George Antiparos of your expected arrival time in advance. You can use the Special Requests box when booking, or contact the property directly using the contact details in your confirmation. Everything: location, seaview, island, people.